With the Galaxy S9 and Galaxy S9+ set to be announced in the next two or three months, Samsung’s next flagship device is the talk of the town in a period that is usually a quiet one for the industry. 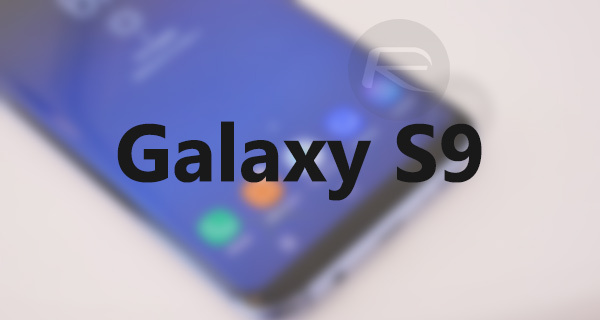 With CES and MWC kicking 2018 off, there is plenty to look forward for the initial throws of 2018, but right now we are being treated to a string of leaks relating to those Galaxy S9 handsets – the latest of which are Geekbench scores again for what appears to be the fastest Samsung smartphone yet. 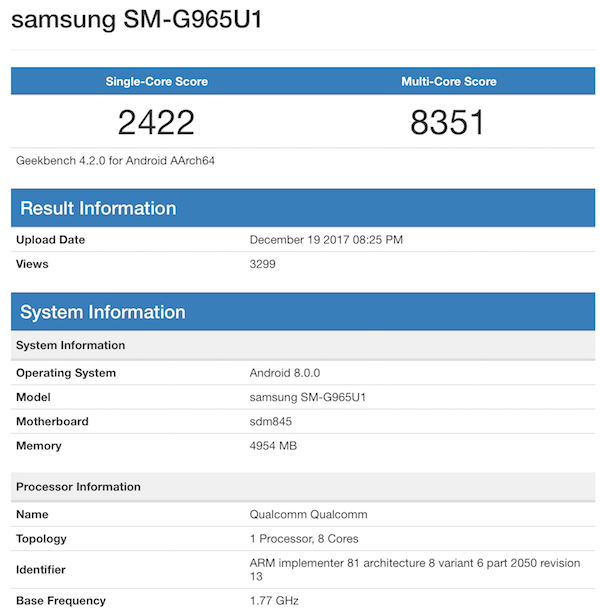 The Geekbench scores themselves appear to be for a Galaxy S9+ with latest Qualcomm’s Snapdragon 845 beating within it, and the scores that are being shown would make this the fastest smartphone to come out of Samsung yet, although it still does not quite put it into the same sky high numbers that the iPhone X powered by Apple’s A11 Bionic chip is capable of. According to the stats posted to Geekbench, the Galaxy S9 and Galaxy S9+ should be capable of over 2400 points in single-core tests and over 8000 in multi-core. Both of those scores are records as far as Samsung phones are concerned, although they do not come close to the iPhone X which manages to score 4000+ in single-core tests, and exceed 10000+ in multi-core results. Regardless of whether the 2018 Galaxy S9 can match Apple’s 2017 finest, it looks set to be a damned fast Android smartphone and will no doubt churn its way through whatever most people ever manage to throw at it. What this does show is that the likes of Qualcomm still have some catching up to do before they can provide silicon that can compete with the very best that Apple has to offer, like the A11 Bionic chip that powers the iPhone 8, iPhone 8 Plus and iPhone X. When the iPhone lets me drag and drop files to and from my computer, I’ll be impressed. When the iPhone lets me install a custom application without jailbreaking or agreeing to a Chinese profile to do so, I’ll be impressed. By the way, I wrote this from my non-impressive iPhone 8. Sure you did lol “Custom applications” = malware. You’re not a bright individual. That’s truly pitiful. The X is twice as powerful as Samsung’s “flagship” devices that won’t even be out until the spring. And what can the iPhone X do that the nearly a year old s8 can’t? It’s like comparing a car that can do 190mph to one that can do 200. Unless you are going to the moon I don’t think the speed difference in the real world would actually matter. I have an a11 powered i8 and an s8 and they are pretty much the same speed wise in everyday activities.